What do you do when your house is hit with a storm or your pipes buried deep inside the walls, burst. 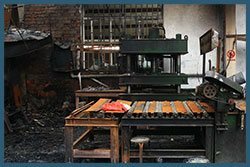 Natural and manmade disasters can cause heavy destruction to your property. If water damage is not dealt with immediately, it can lead to permanent damage of your possessions. This is why first 48-hours of water infiltration are the most crucial. We, at Miami Gardens Emergency Restoration, know all kinds of issues that can stem from water damage. We have a team of skilled workforce that has years of experience under their belt and also extensive in-house training to tackle all kinds of issues that crop up in Miami Gardens, FL area. Give us a call on 786-350-3360 and benefit from our advanced restorative methods that can help you regain your premises back in its pre-loss state. Damage mitigation can be anything between drying out the excess water and rebuilding the entire structure. The extent of damage depends on the time you took to begin remediation process. This is why we cannot stress enough how important every second is. You may think that you have time, but really you don't! You see your carpet submerged in water. You wonder, what’s the worst that can happen? Let us educate you about how damaging standing water can be! When water is stagnant, it becomes a breeding ground for bacteria which is a hotbed for allergic reactions. 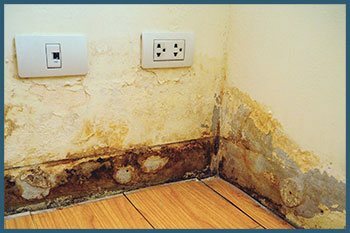 This is not all, the water can seep into your flooring and walls to encourage mold growth, and can expose your electrical fittings to the risk of short-circuits. We don't even have to tell you how your valuable furniture and furnishings are losing its aesthetic value with every second it stays in contact with water! We are not trying to scare you. Our only objective is to inform you that in case of water damage, time is of the essence. The sooner you receive help, the better it is for you and your precious things. Miami Gardens Emergency Restoration is a highly trusted service provider with industry experts working 24/7 providing best water damage restoration services to its clients in Miami Gardens, FL area. We do everything possible to restore your property back to its actual state. Be it plumbing issue or a natural disaster, there isn’t a water damage scenario that we cannot handle. You can dry the surface all you want, but did you stop to think about the moisture that has crept deep into the layers and will become the ultimate source of slow degradation? Miami Gardens Emergency Restoration is a reputed name because it doesn’t believe in the “touch test” as a reliable sign of drying. Instead, we use sophisticated tools to perform the drying process, dehumidification, odor removal, disinfection and elimination of moisture. We can restore your property back to normal in no time! Don't let water damage cause terrible destruction, especially when you have our trained professionals just a call away. 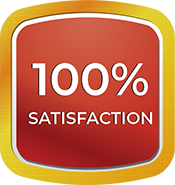 We will attend to your needs within 30-minutes and start the remediation process immediately. We will handle all your possessions with great care and even rebuild parts of your property that have suffered severe damage. While you may not be able to control the factors of water damage, what you can control is the subsequent damage caused by these factors. So next time you are faced with such a tricky situation, give us a call at 786-350-3360 and allow us to help you restore your life and property.